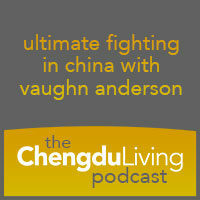 In this episode of the podcast, we speak with Vaughn “Blud” Anderson, who has been a professional cage fighter in China for over a decade. As in the past, I decided to watch the World Cup, at 2am, at a local spa while getting my feet rubbed. In this post I’ll share a bit about China’s spa culture and explain why this is a great place to relax while watching the World Cup or any sporting event. China’s leading pro-golfer Liang Wenchong emerged victorious today at the Chengdu Open, capturing the $1 million prize. As local and national golf fans celebrate his victory over a formidable Korean competitor, they set their sights much higher.